Over the past several years, small-business owners have been granted an incredible opportunity to accept credit and debit card payments without having to pay the high fees associated with the major brands. The battle between companies offering mobile card machines aligned with smartphone apps is growing, as the market share is skyrocketing due to the ease of use and low costs to users. There are many providers available and this has kept the market competitive, ensuring consumers continue to get the best deals. Companies like iZettle and SumUp have done away with the high fees associated with the traditional major brands and allowed small businesses to benefit from using card payment software. Connection – The connection is vastly more reliable than traditional card terminals. The devices connect directly to Wi-Fi or your smartphones mobile network coverage. They literally fit in your pocket! Cost – No monthly fees for rental costs or connection, just a one-off fee for your devices and a small percentage charge per transaction. iZettle and SumUp are two of the most popular companies providing mobile card payment solutions. Each of them has its own unique features and fee structures to attract clients. Here you’ll find all the essential details regarding iZettle and SumUp card readers and apps. Following our thorough reviews, we’ve put together the most valuable and important information and compressed into one accessible comparison table. 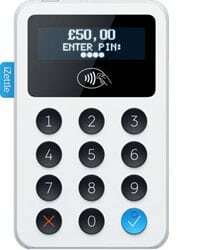 iZettle was one of the first mobile card readers to be launched on the UK market back in 2011. It’s currently the most popular, particularly for small businesses. The company has worked hard to be a market leader and the benefits of this machine are notable. Fees – merchants pay a flat rate of 1.75% per transaction. There are no setup fees and no yearlong contracts to sign. Speed – this is what sets iZettle apart from other providers. Their technology allows them to process contactless payment up to 25% faster than other mobile card readers, allowing you to complete payments under £30 in seconds. 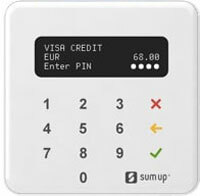 Cost – SumUp have also reduced the cost of their machine to compete with the market. Their mobile card reader is also now available for £̶3̶9̶ ̶ £19 + VAT . Fees – SumUp offers the lowest initial transaction fee at 1.69%, which is beneficial mainly for small businesses with a low transaction volume as the percentage is not tied to the amount of payments processed. And with no fixed monthly costs or contract either, they are the most inexpensive option to start with. Below you’ll find all essential answers and details regarding iZettle and SumUp card reader and app. Following our thorough reviews about mobile credit card machines features and fees, we are presenting set of most valuable information compressed into one neat comparison table. The tables below examines both the business and technical aspects of each company, so that you can understand which payment processor is right for you. The first thing to note is that both companies offer similar card-reading hardware for just £29 each, accompanied by a free processing app for your smartphone. Neither charges a monthly fee and there is no minimum payment threshold, meaning that either are suitable for businesses that may only require use occasionally. Both accept the standard VISA, Mastercard and AMEX cards, however iZettle gains an advantage in processing JCB and Diner’s Club cards, too. Both SumUp and iZettle have short settlement time (2-3 days), but iZettle has the option to send receipts directly to a smartphone via SMS. The most important difference which will be a decisive factor when choosing between the two are the transaction fees. iZettle currently offers the lowest fixed-fee rate in the UK at just 1.75%, while iZettle’s fees is slightly higher – 1.95%. They also differ when it comes to transaction limits. SumUp assesses users individually – this makes it difficult for us to compare their maximum card payments – they do, however, have a minimum amount of £1.00. iZettle differentiates between private and business account holders. Private accounts are limited to £1000 per 24 hours, they are also limited per card and per transaction. Business accounts are limited to £500,000 per 24 hours and restricted to £5000 per transaction and per card. You’ll be pleased to hear both iZettle and SumUp have relatively quick settlement delays, both taking a maximum of three days for reflect payments in your account. iZettle also offers an advance option for small businesses. 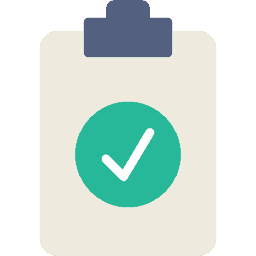 The iZettle Advance uses your sales history decide whether you qualify, and offers loans for a fixed fee. Now let’s have a look at the actual card readers. They are both small, lightweight and sleek in their design and both can fit comfortably in your pocket. iZettle and SumUp offer all the basic functionalities – they support Chip & PIN, have a Contactless (NFC) receiver and a magnetic strip reader. They also both use Bluetooth to connect to your smartphone or tablet to connect to the free corresponding app – both supported by both iOS and Android – and to piggyback your device’s Wi-Fi, 3G or 4G connection. They are both easy to charge via USB and both connect to a range of receipt printers – see our table to find out with ones. And once you’ve started making payments? How do these two companies differ? Mobile Card Readers in general have changed the game with point of sale. While many systems support receipt printers, the days of worrying when you receipt paper will run out are behind you, as SumUp and iZettle allow you send receipts via SMS or Email too. Mobile card readers also allow you to take your till on the road with you. You can create a product library within your app making everything a whole lot simpler – the benefits ranging from reducing errors to creating the most comprehensive CSV reports you’ll ever run. iZettle even allows you define product attributes, like the weight and colour of items, in their product library. Both iZettle and SumUp can create Excel and CSV reports and iZettle also has Debitoor and Xero integration. Ultimately, both iZettle and SumUp offer clients solid options for mobile payment processing and you cannot go wrong in choosing either one. Ultimately it comes down to a personal choice and what is right for you and your business. For some, SumUp’s lower transaction fees (1.69% compared to iZettle’s 1.75%) will be the difference and can’t be ignored, but for others, iZettle’s superior in-app functions might sway it. Good luck! All data are valid for UK market and were updated on 28 September 2017. Fore more detailed information, please refer to the product review pages.